An E-3G “Sentrry” Airborne Warning and Control System aircraft patrols the skies over the U.S. on a recent homeland defense mission. TINKER AIR FORCE BASE, Okla. — The long-awaited, highly anticipated deployment of the E-3 “Sentry” Airborne Warning and Control System Block 40/45 aircraft is finally over, with the arrival of the first upgraded weapon system to a combat theater of operations. The first E-3G arrived in Southwest Asia Nov. 18, marking the deployment of the most comprehensive modification to the weapon system in its 38-year history. 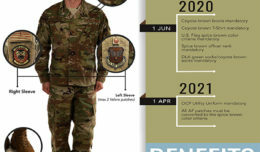 The changes improve communications, computer processing power, threat tracking and other capabilities. “This modification represents the most significant upgrade in the 35-plus year history of the E-3 and greatly enhances our crewmembers’ ability to execute the command and control mission, while providing a building block for future upgrades,” said Col. David Gaedecke, commander of the 552nd Air Control Wing at Tinker Air Force Base, Okla., which flies the E-3. What’s more, the new modifications automate previously manual functions and improve the amount of data that E-3 aircrews can receive and share with allied forces on missions such as counterdrug surveillance. “This upgrade takes computing capability from 1970s technology to current day,” Col. Gaedecke said. 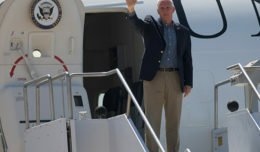 The upgrade has been a partnership between the 552nd ACW, the E-3 System Program Offices at Hanscom AFB, Mass., and Tinker AFB, the Oklahoma City Air Logistics Complex, which performs the modification, and the Boeing Co., the prime contractor. The E-3G model reached Initial Operating Capability on July 28, 2015 and the OC-ALC went into full-rate production shortly thereafter, a milestone marking the start of faster upgrades for the remainder of the airborne surveillance and battle management fleet. 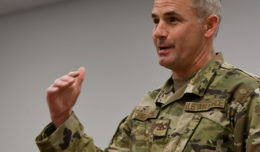 Col. Gaedecke has previously laid out the plan for the aircraft to participate in Red Flag in August and, if all went well, deploy the weapon system in combat this fall. In support of air-to-ground operations, the Sentry can provide direct information needed for interdiction, reconnaissance, airlift and close-air support to friendly ground forces. It can also provide information for commanders of air operations to gain and maintain control of the air battle. The 552nd ACW is home to the E-3, with 27 of the fleet’s 31 AWACS aircraft being housed at Tinker. Of the remaining four aircraft, two are stationed at Kadena Air Base, Japan, and two at Joint Base Elemendorf-Richardson, Alaska. The 552nd ACW will continue to operate out of their current forward operating location for operations in Afghanistan as part of Inherent Resolve and against ISIS/ISIL in Iraq and Syria as part of Operation Freedom Sentinel. 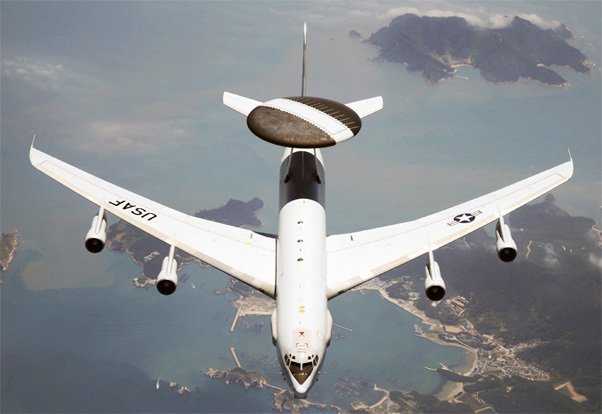 Now that the E-3Gs have been deployed to a combat theater of operation, Col. Gaedecke said AWACS will continue to be relevant in the battle space of the future. Col. Gaedecke said the new E-3G will begin flying combat missions immediately.